Pavement preservation and rehabilitation have been growing in importance nationwide, which has led to increased interest in concrete overlays. The objective of the first phase of this study was to develop a report on the performance of concrete overlays in Iowa. 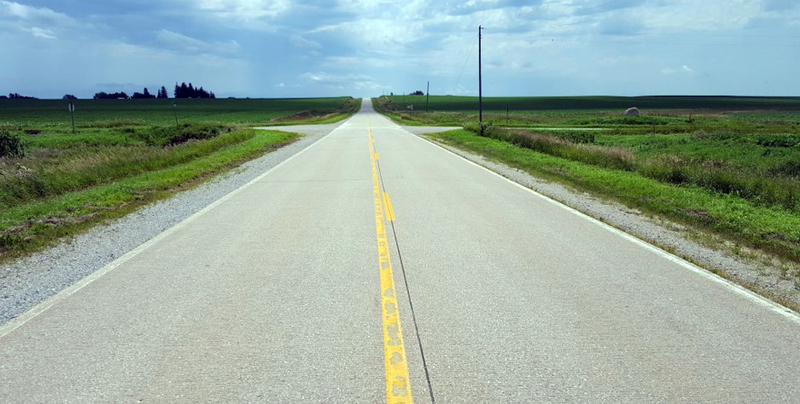 Pavement condition data such as the international roughness index (IRI), transverse cracking, longitudinal cracking, D-cracking, spalled joints, and faulting has been collected on Iowa roadways since 2002. From this data, a determination of the pavement condition index (PCI) is made. By comparing key concrete overlay parameters, such as overlay type, thickness, age, and joint spacing, with IRI and PCI performance data, long-term performance trends can be established to complete the first major concrete overlay performance study of its kind. A summary of results showed that Iowa’s overlays performed very well, with service life trends exceeding previously defined expectations for concrete overlays. Further investigation of outlying data from poorly performing projects showed distress tended to be based on a combination of project-specific material- and construction-related issues rather than inherent overlay design issues. Addressing the causes of these issues may further improve the performance life of concrete overlays.